The La Porte County Sheriff’s Department is investigating the disappearance of an adult from Rolling Prairie, Indiana. Rolling Prairie, Indiana is 156 miles north of Indianapolis. Rodrick Mclean, Jr. is an 76 year old white male, 5 feet 10 inches tall, 200 pounds, white hair, and brown eyes. He was last seen wearing salmon colored short sleeved shirt and gray workout pants. He was last seen Saturday, July 21, 2018 at 9:15 pm in Rolling Prairie, Indiana and is believed to be in extreme danger and may require medical assistance. 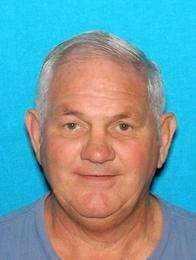 He was last seen driving a 2004 dark gray GMC Envoy with Indiana plate AET183. If you have any information on Rodrick Mclean, Jr., contact the La Porte County Sheriff’s Department at 219-326-7700 or 911.